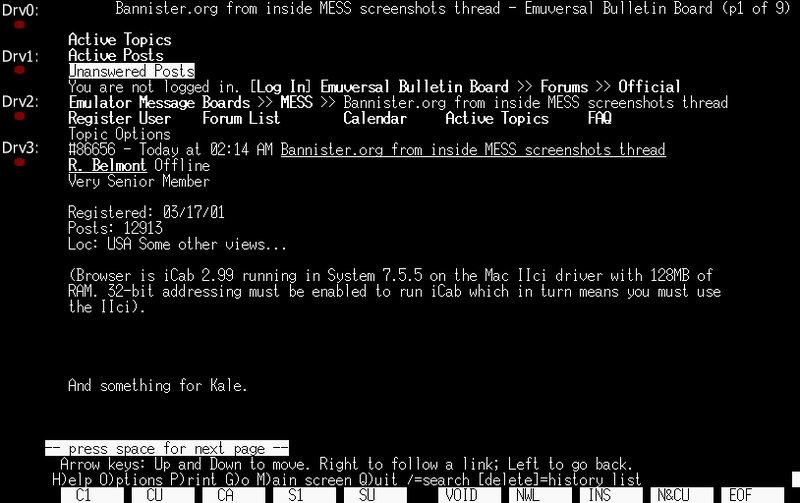 (Browser is iCab 2.99 running in System 7.5.5 on the Mac IIci driver with 128MB of RAM. 32-bit addressing must be enabled to run iCab which in turn means you must use the IIci). 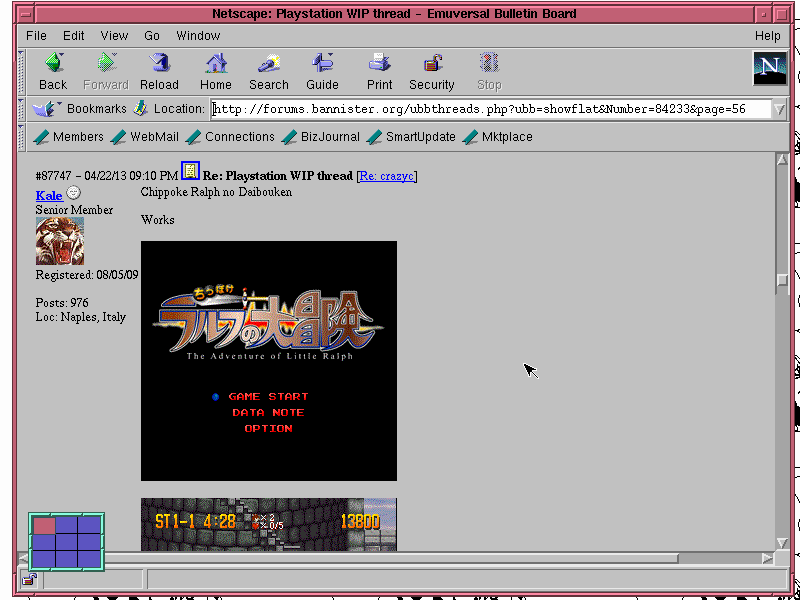 Those screenshots look like they were taken in 1993 when the web was new. Yeah. 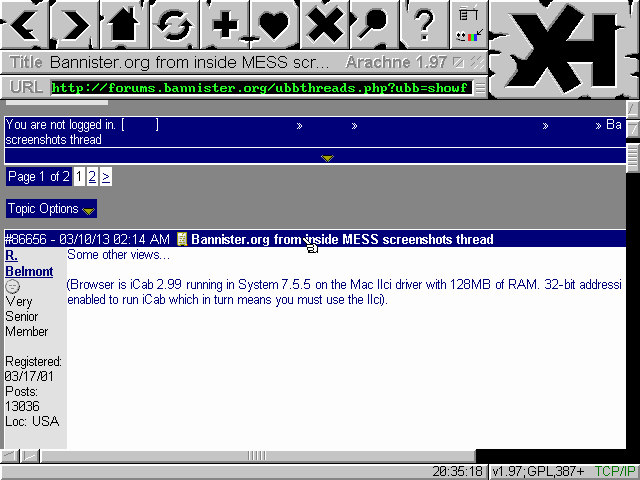 The browser actually dates from 2006, which is why the layout is more or less correct But the emulated machine is a 1989 model running a late-1996 OS. Here's another. 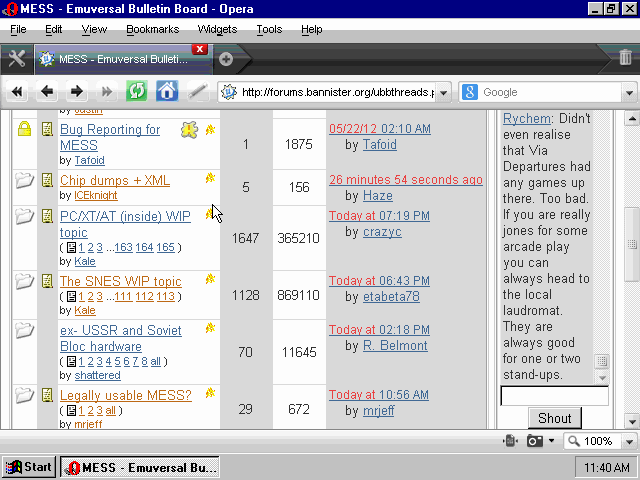 Browser is Firefox 2 in Damn Small Linux. Last edited by crazyc; 03/10/13 02:44 AM. IE 5.5 under Windows 95. It's pretty bad as you can see, large text, incorrect formatting and missing images. I believe the large text is due to the 640x480 resolution. Windows didn't like me changing it. Last edited by MikeAbson; 03/10/13 05:31 AM. IE's massive font is by design, IIRC it used 12pt Verdana if it couldn't find a font tag (and font tags are deprecated in favour of CSS these days, so it falls back to its default font, not that MS followed W3C standards anyway *cough* MARQUEE *cough*). I fell victim to IE's monopoly and custom extensions in the early 2000s with my Tekken website (which has since been inactive for many years, and was for a long time broken in Netscape, and later, Firefox and other modern browsers). 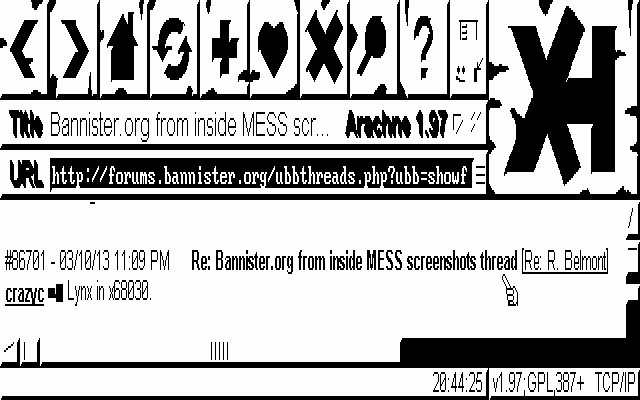 In fact, the entire website was a hack job, character pages converted from Word 97 to HTML, briefly edited in FrontPage 4.0, then edited entirely in Notepad to remove FrontPage bloat. The pages don't even have a DOCTYPE declaration in the header! 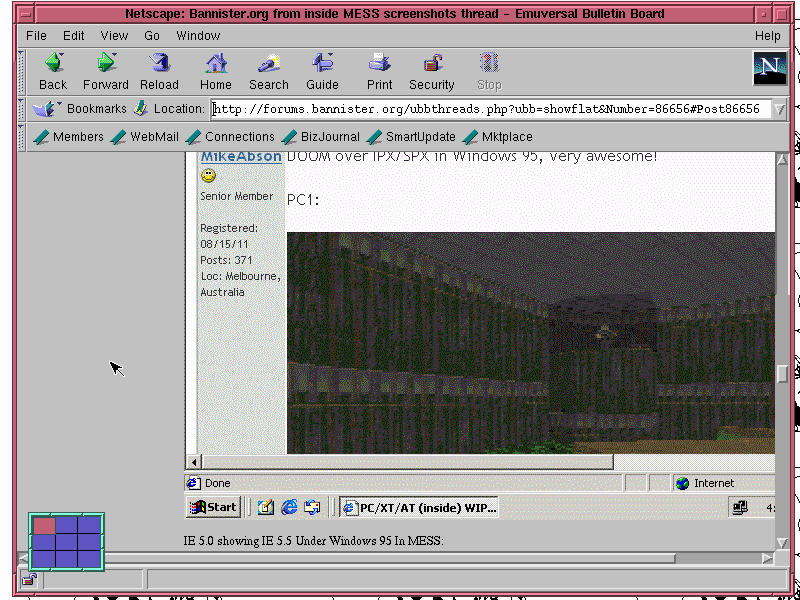 IE6 works in 2000. You could try that instead. 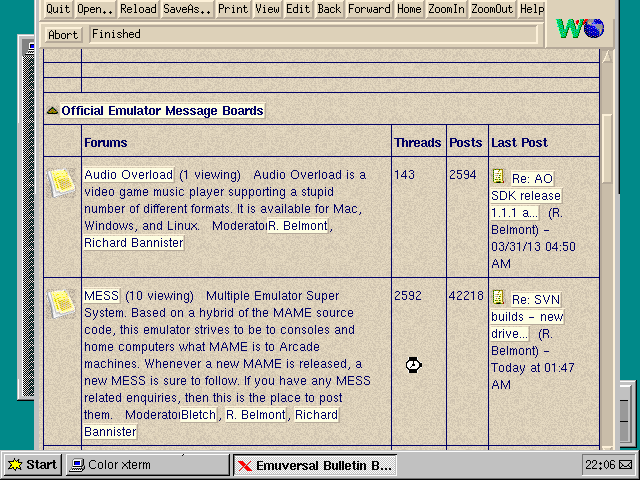 Arachne 1.97 in 640x480x16 mode. ...and in monochrome CGA mode. Last edited by crazyc; 04/16/13 01:47 AM. Nice ... what about Netscape on Win16? 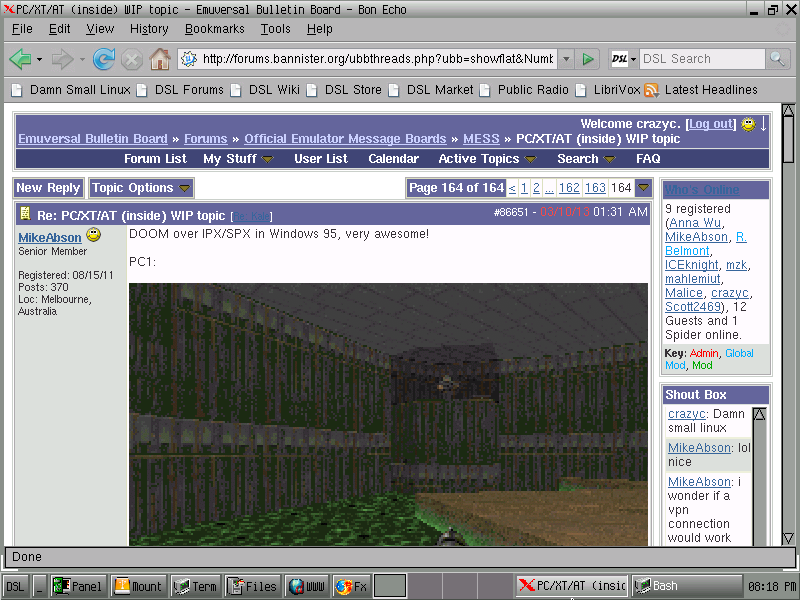 Arena, running under XFree86 (S3 accelerated server), on Slackware Linux 3.4. Very basic browser, doesn't even support frames. 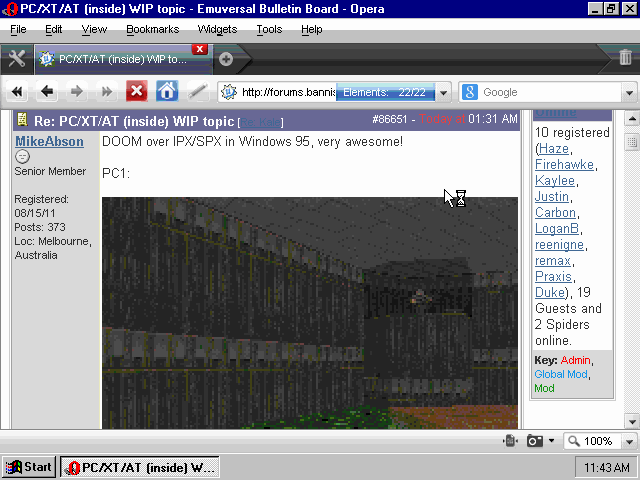 Netscape Navigator 4.05, under Slackware Linux 3.4, XFree86 (with S3 acceleration).